Poll asking how many Jews died in Holocaust reposted by Twitter account associated with former WH communications director despite outcry. JTA - A Twitter account associated with Anthony Scaramucci, the colorful investor who was briefly President Donald Trump’s communications director, reposted a survey about the number of Jews murdered in the Holocaust, saying it was an educational exercise. The original tweet posted on the Scaramucci Post account Oct. 17 asked, “How many Jews were killed in the Holocaust?” and offered multiple choices: “Less than one million, between 1-2 million, between 2-3 million, more than 5 million.” The historical figure, 6 million, was not offered. That tweet drew widespread outrage and was withdrawn hours later. A screen capture showed that within an hour of posting, 4,776 people had responded, with 68 percent answering more than 5 million, 21 percent saying less than 1 million and the rest split between the other two options. The Twitter feed is run by Lance Laifer, the founder of several capital management firms, as is Scaramucci. Laifer said on the Scaramucci Post feed that he is Jewish, in defending his posting of the poll and other tweets related to the Holocaust. The feed also rallied against what it called the “mob-like behavior” of journalists against the Holocaust tweets. 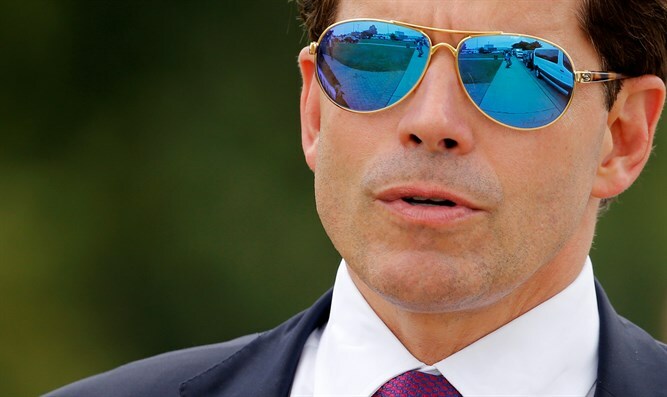 Scaramucci himself was forced out after he delivered an obscenity-laden interview to The New Yorker attacking Priebus and Bannon. We are putting the poll back up because if it helps educate even just one person it will have been a worthwhile endeavor for us.